People often ask about how to start creating a podcast. It may seem daunting but often they are overthinking it. Offering audio on the Internet can be done in many ways and it just keeps getting easier. 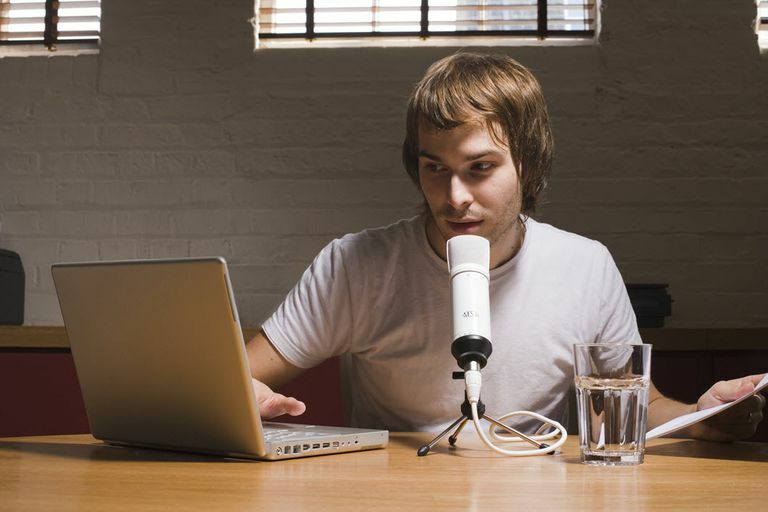 Podcasts are easy to do whether you DIY with an audio editor and your own website or use a third-party to create it and host it. A podcast allows you to create audio which can be accessed on-demand. The original idea of subscribing to podcasts has become diluted. Sure, thousands of podcasts can still be subscribed to and the audio is automatically delivered to your computer. But now just placing an audio file online at your website and informing users to click to listen to your podcast on-demand is sufficient in many cases, especially if you know ahead of time that you are doing a limited amount of podcasts. For instance, maybe you wish to offer only one podcast to explain the services you offer on your website. Most browsers know how to handle and stream an audio file that is clicked on. In that case and many others, it is not necessary to create the type of podcast that is syndicated and can be subscribed to. Thanks to broadband, the moment your audio file begins playing uninterrupted through the end user's player, you have achieved the same effect as internet radio. If it looks like a duck and quacks like a duck – it's a duck. How Complicated Do You Want This to Be? If you think creating podcasts is for you, next decide what level of complexity do you wish to deal with: your own website and domain with files you create, tweak, and upload, or do you want to have fewer nuts and bolts to worry about? Using a third-party service can be very convenient but you will be subject to their user agreement, plus you may have ads inserted into your podcast or your podcast page may be surrounded by ads and other content you don't like. On the other hand, creating your own domain and placing your podcast on some internet "real estate" that you own will allow you to call the shots and surround your content with ads that can actually make you money, not a third party. With the TinyVox Pro app for iPhone and Android, you can turn anything into a podcast like Twitter, Facebook, or Tumblr. TinyVox Pro offers simple production elements and the ability to be mobile. Spreaker.com is not the first website devoted to helping people create their own radio shows and podcasts. But, it does provide some new tools for helping you share your audio on social networks. Plus with Spreaker you can even broadcast live and it's free. Blogtalkradio is a podcast and social networking site that offers a very easy way to create on-demand audio. PodBean.com offers an easy way to publish your own audio and video podcast in 3 steps. There is no technology curve. You can share your podcast on Facebook and other online destinations. PodOmatic offers a basic and pro option. Basic provides easy tools, 500MB of storage and 15GB of bandwidth per month. Pro has more features for about $10/month. Libsyn (Liberated Syndication) offers several levels of podcast syndication including storage space and an archive plan that promises to hold all your podcasts, unmetered bandwidth, and the ability to use your own domain, and more. For those who are more inclined to create a website by registering their own domain and created audio files on their own terms, here's a piece of software you might want to look at. WildVoice Studio is a free Windows application that enables a professional-quality recording complete with theme music, special effects, and pre-recorded clips. You have a band and you want to reach people with your music. Even if you just begin by streaming your first CD, that's a start. Plus: lace in announcements of upcoming shows and CD releases. You are a school and you want to provide students and parents with information about current activities. You are in the Radio Club at your school and everyone wants an opportunity to practice being a DJ on a real broadcast service. You are a school district or a state and you want to provide a stream with special information about school snow closings, emergency procedures, or other information. Remember: a podcast can serve a very specific purpose and doesn't have to be long. You are a college student and want to make extra money by programming to the students at your college or university with the music they want along with announcements about upcoming activities, and commercials from the local bookstores, bars, and restaurants. You collect a particular type of audio, music, or another type of recording and want to share them with the world. You want to spread the word about a political candidate or political agenda using recordings of candidate speeches or your own recorded analysis and commentary. You have a business and want to promote it. For instance: if you sell motorcycle parts, you might consider a stream with updated motorcycle news. People who work in traditional radio and people who would like to be in radio all wonder if internet radio and podcasting can be a viable vehicle for careers. The answer to this question is slowly evolving into, "Yes, it can." The radio business has undergone a myriad of changes in the last 15 years, which have stripped the industry of many jobs formerly available. Great talents have suddenly found themselves without a radio home after many successful years. A lot of these pros are not willing to just accept that, just because they aren't on the radio, they don't have a public voice. Podcasting has given them an affordable way to continue to stay in touch with fans and listeners. After a 20-year run on radio in West Michigan, Dave and Geri (Dave Jagger and Geri Jarvis) suddenly found themselves off the air. Blame the recession, blame budgets, blame radio's short-sightedness. Well, there's an old saying: "Don't get mad. Get even" and that's just what they're doing with podcasting. If you’re going to offer a podcast that features music created by someone else, you might be responsible for paying royalties for the right to webcast that music. It doesn't seem that this has been completely worked out yet – although licensing companies which track royalty payments are fervently trying to figure out a workable plan. In the meantime, you would be advised to use "podcast-safe" music. Podcast-safe music is designated by the creators as available for use in podcasts either for free or for a small fee. blogtalkradio.com has a list of sources you can check. Aside from music, if your podcast consists primarily of voice – either your voice or someone else's voice who has agreed to be on your podcast – then you have little worries about copyrights and licensing fees. You own your voice – and the original content you create and speak. If someone agrees to be your guest, they have granted you a license to use their voice and distribute the content they speak within your podcast. Remember: if you create a podcast – and especially if you incorporate original material which you created – it's a good idea that you signify that the material is copyrighted. During your wrap-up at the end, drop in that your show is "Copyright 20XX by Your Name or Company." That's a personal copyright and the law entitles you to it. It will also serve as a warning to someone who might be tempted to lift or steal something you created. Protect your intellectual property. What's This Podcast Thing All About?